Badminton England has announced that it plans set-up a brand new National Team League structured in a tiered format. The idea being it could play host to hundreds of clubs across the country. It’s scheduled to launch in January 2021 having undergone a detailed feasibility study. The league will be structured much like in other sports featuring a top division or premier division and several lower leagues. Home and away fixtures are planned with the overall aim to increase the competitive nature of the grass roots sport. To that end there will be seasonal promotion and relegations. The hope is once the new structure is in place it will help to inspire more players of all abilities to play and see badminton with many taking it up as a potential career. 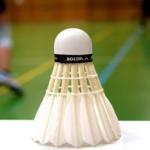 With over 1400 clubs nationwide Badminton England are encouraging all them to become compliment and take their place in the new league structure. Badminton England are still working out the final details with the County Badminton Associations, existing leagues, clubs and players and hope to announce the final version of the National Team League later in 2019. For more details on the proposed new Badminton National Team League head over to Badminton England’s website. Let us know what you make of the major shake up to the way the sport operates. Personally I think it’s about time the sport moves in this direction, do you agree?